This is an introspective story about courage and survival. In 1999, Sharon Bown, a graduate of the University of Tasmania, commenced as a Nursing Officer in the Royal Australian Air Force. Barely into her first overseas mission, she was travelling in a helicopter which crashed. The accident – and the injury Bown suffered – was a life-changing event. Even if psychologically she could put the experience behind her, her continuing back pain was a constant reminder of a frightening near-death experience. Writing a memoir about one’s traumatic experience takes courage: being based on the personal and emotional experiences of the writer, memoirs are difficult for even the most experienced of authors but Bown is a remarkable woman, undaunted by difficult challenges. Despite her traumatic accident, she worked doggedly to recover from her injury and resume her duties. Her biggest battle was to convince her superiors that she was fit for operational postings. She felt discriminated against because she had been injured, and she fought to prove her competence. Bown went on to hold command appointments, including Officer-in-Charge of the Australian Medical Task Force in Tarin Kot, Afghanistan. This experience was shocking. Memories and images haunted her, of bleeding patients and wounded children dying in her arms. Adversity confronted her, testing her to the limit. She was torn between a need to be at home in Tasmania with her mother who battled cancer – ultimately unsuccessfully – and her own strong work ethic to ‘serve’ her country. The latter imperative won out, and Bown notes the irony that, while her mother suffered at home, Bown was, among other duties, nursing someone else’s mother, an injured Timorese woman. 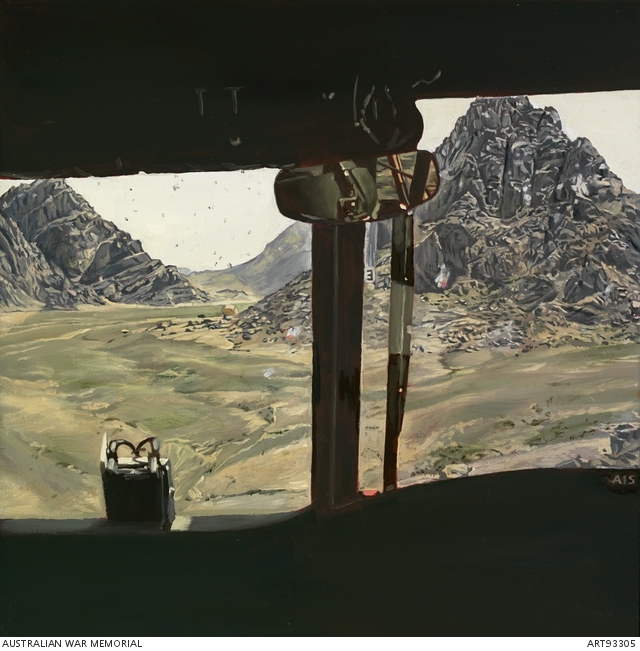 But it is the effect of the helicopter accident that dictates Bown’s decision-making, and how she views herself and the world around her, sometimes to the exclusion of others. For example, she does not express any concern for the other members of the medical team who, presumably, must also have been haunted by memories of the gruesome wounds and deaths of children whose lives they tried to save in Tarin Kot. She tells of the effect on her of hearing that her boyfriend (later husband) was also in a hair-raising, life-threatening helicopter accident. He having assured her over the phone that he walked away uninjured, she found that his excitement at being offered a posting to Iraq and Afghanistan as the army’s official war artist was ‘more disturbing’. All this was, in her words, ‘too much for me to bear’. Later, Bown hears the shocking news that her beloved father had been brutally wounded, though not killed, when shot in the head and back during his routine duties as a policeman. Bown, seeing herself as the most competent and best-trained in the family to act as spokesperson, rose to the occasion to do the job. Again, she tells her story with no mention of the impact of the trauma on others in her family. Bown felt pain, and even guilt, at not being in more than one place at a time when she was needed. Despite a tendency to over-explain her dilemmas, she succeeds in the book in conveying the extent of her suffering, without asking for sympathy. She tells us that she was OK about what she had to go through because she had the good fortune of being a professional, trained to cope. In any event, as she always made clear, what she sacrificed was for the good of her country. What does Bown’s story say about the rest of us? Australians seem to have an inbuilt psychological drive to revere and honour those who serve their country. We are not, of course, unique here but this entrenched culture can be traced back to World War I, when young Australians were called upon for the cause, at the risk of sacrificing themselves. We Australians are unusual, though, in the extent to which we commemorate – even celebrate – what is, proportionate to the numbers who enlisted, one of the worst massacres of national military forces in recorded history, our 61 000 dead in the Great War. Since that blood-letting, Australian soldiers who died in World War II, Korea, Vietnam, Afghanistan, Iraq, and Syria in more recent times are spoken about with pride, for serving our county to protect ‘our freedoms’. They are, indeed, brave men and women, who tragically die because of insufficient prior public questioning of what ‘our freedoms’ involve, and whether our military adventures are right or wrong, foolhardy or ill-considered. The book is not really about nursing, or war, or women working in a male-dominated environment. It is, as the title suggests, a memoir of an individual woman’s own war, her personal battles and her search for inner peace. Its central focus is the helicopter accident in which Bown was involved and how it changed her life course. Yet, the accident and its sequel is surely only one aspect of Bown’s broad and fascinating career. She misses the opportunity of describing what she observed when serving in Bali, Papua New Guinea and East Timor, the characters she met, her loved ones, and what was happening to the colleagues she admired and worked with. Further, Bown surely has stories to tell about her time, following a change of direction in her distinguished career, as Ministerial Aide-de-Camp for then Minister for Defence, Brendan Nelson. In 2016 Bown was appointed to the Australian War Memorial Council for a three-year term. She has harnessed her adverse experiences to become an advocate of war veterans’ health, and she has pursued an interest in enhancing the resilience of those who continue to serve. It is likely that Bown was driven by a therapeutic need to write about a life-changing traumatic event. In her attempt to dissect and understand what happened to her, she seems to argue with herself whether she is a victim or a hero. The helicopter accident ‘robbed’ her of her career, and she felt victimised in having to battle to prove she was fit to serve. She struggles in the book to reconcile feelings of anger about the consequences of the helicopter accident, and the pride she takes in her ability to continue to serve her country but she still emerges as a hero with no regrets about her career. The self-focus of One Woman’s War and Peace and its purpose is better understood when, towards the end of the story, Bown reveals that she was eventually diagnosed with Post Traumatic Stress Disorder, triggered by the helicopter accident and exacerbated, no doubt, by the continuing onslaught of tragedies affecting people around her. Bown is open and honest about her feelings and how she has now found some peace. Telling her story of adversity and survival clearly helps her in the advocacy in which she is now engaged. Her story will also provide comfort and help for those who have suffered injury, mental and physical, in shocking accidents while serving their country or otherwise. * Pamela Burton is a Canberra lawyer and a committee member of Honest History. 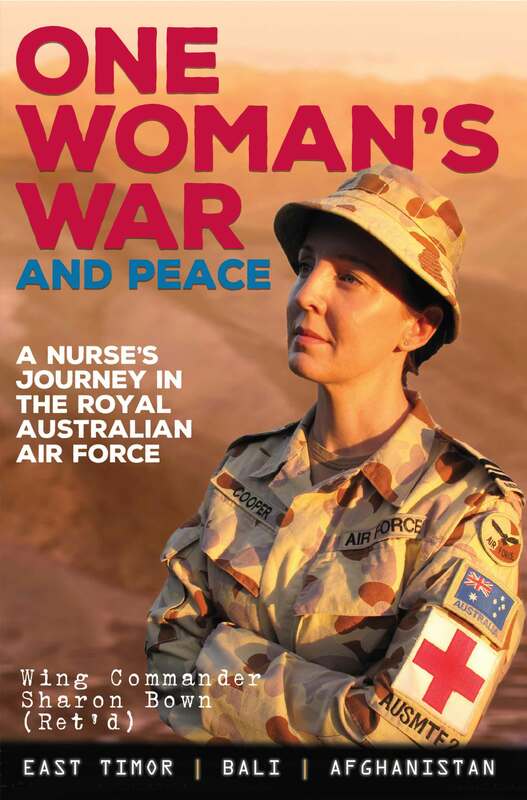 She reviewed Annabelle Brayley’s Our Vietnam Nurses for Honest History and wrote about being an independent scholar and about her father, Dr John Burton (use our Search engine). ‹ Stephens, David: Opposition Leader HV Evatt receives certain assurances from Comrade Molotov: another case of “They would say that, wouldn’t they”?